I’m not usually big on Valentine’s day. Over the years I’ve come to accept that it is one of those holidays that just doesn’t speak to me. If you check back to the last two Februaries you wouldn’t find even a single Valentine’s project on WUHS. This year though in an effort to follow through on my word of the year “Overcome“, I decided it was time to break free of my inhibitions about this holiday. 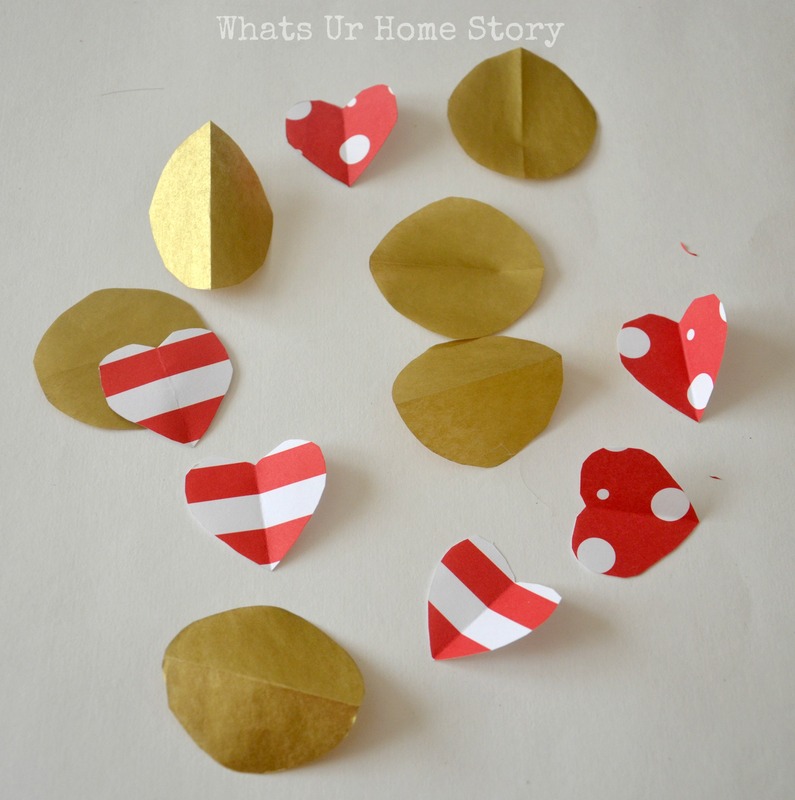 The plan; to use items around the home to create a simple Valentine’s craft. Have to throw in a close up shot before we begin. 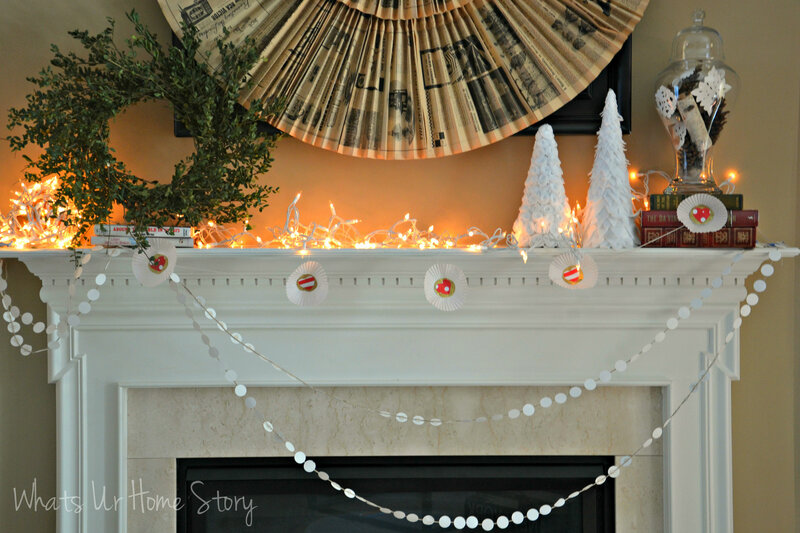 This simple cupcake liner garland is totally inspired by Laura’s (from Make Life Lovely) project from last year. 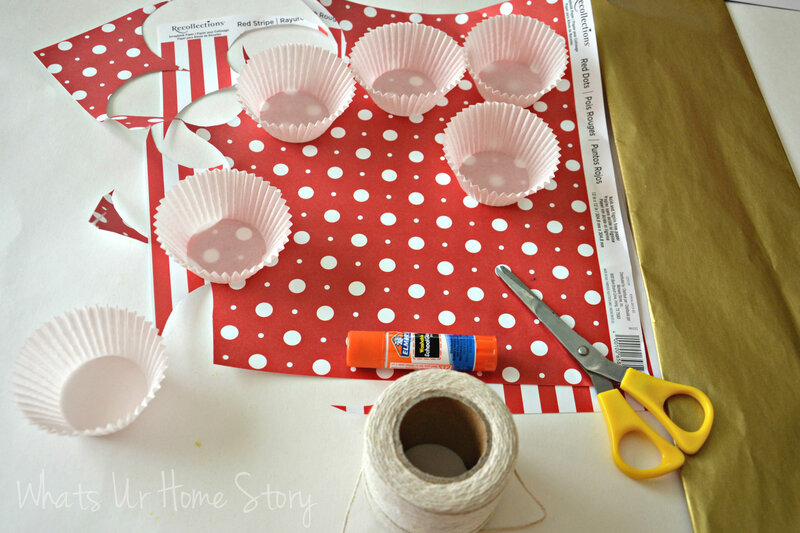 In my case, all I had at home were these flimsy thin cupcake liners and wrapping/craft papers. 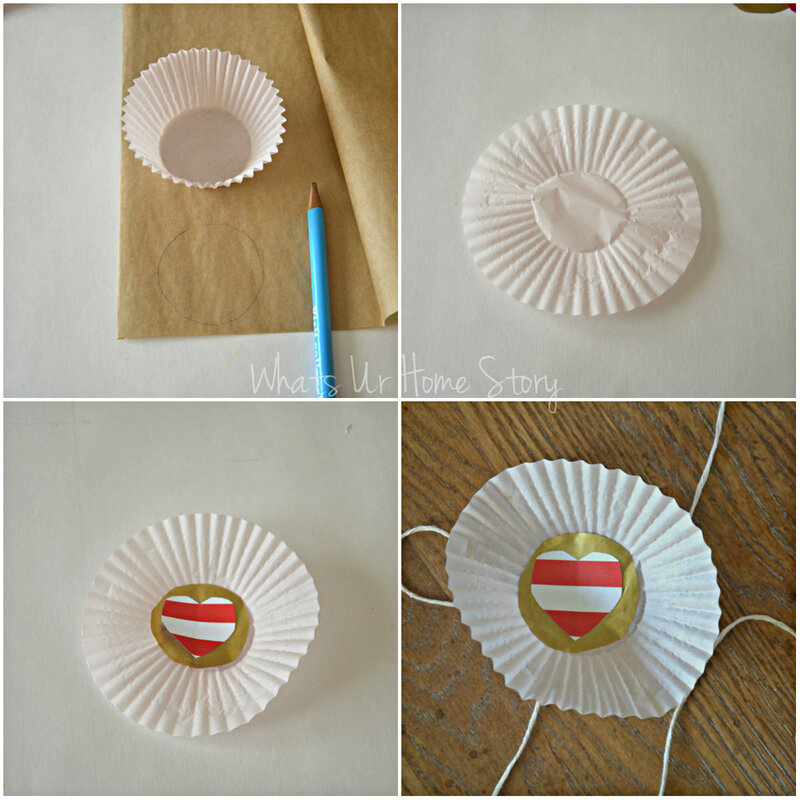 Wrapping or craft paper for the circles and hearts. Cut out the circles and hearts. I just free handed the hearts and used the base of the cupcake liner to trace out the circles. As you can see free handing on circles = Ovals with sharp edges! 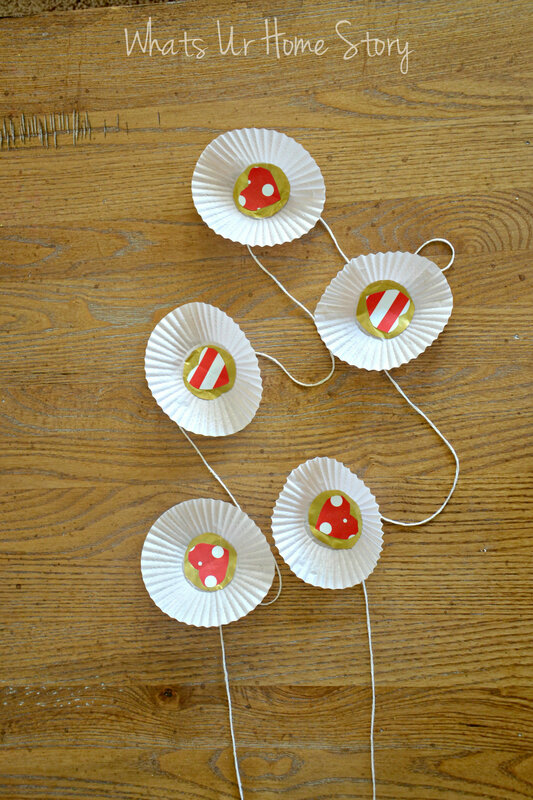 Flatten the liners, glue the gold circles to the center of the cupcake liners first and then the hearts as shown. See all those creases? This is where a thicker liner would work better. Now onto gluing the twine/string to the back of the cupcake liner. NOTE: READ THIS PART CAREFULLY! I didn’t really pay much attention to it from the original tutorial. But not following this step correctly guarantees you a fail. 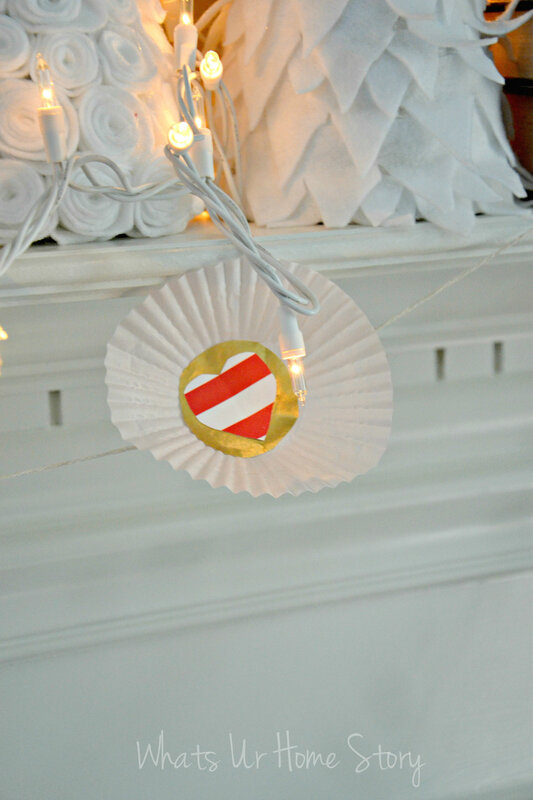 I had to do patch work on mine to save this one from the Pinterest Fails Dump! So what do you need to do? GLUE the twine with blob of hot glue to the TOP THIRD center of the circle. The natural instinct is to glue to the exact center, which is what I did. 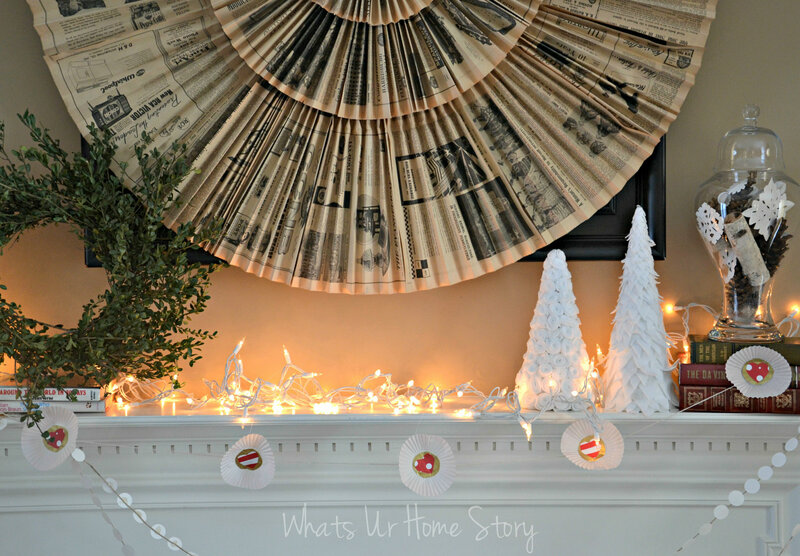 As I learned the hard way gluing the twine to the exact center ensures that the garland will not hang properly. 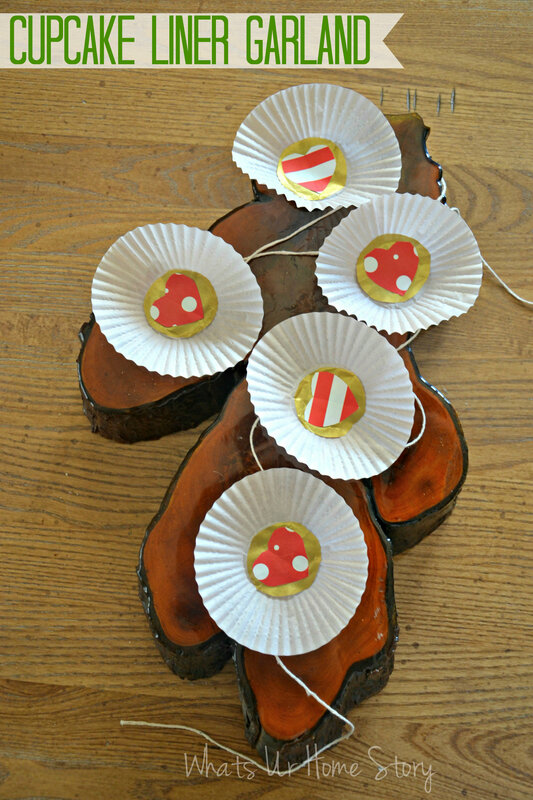 I had to glue small pieces of embroidery floss to the back of the cupcake liners and wrap the floss around the lights to hold the cupcake liners straight. In all, a narrow save! 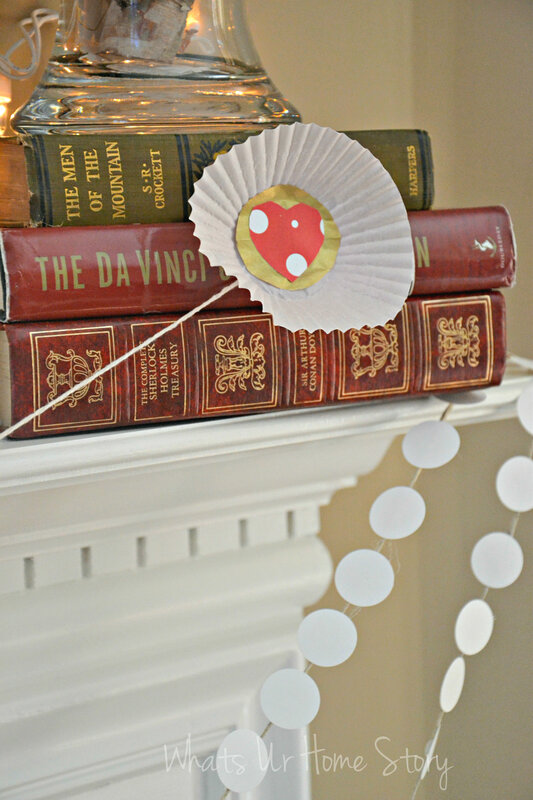 Do you add Valentine’s day touches to your home?